The holidays are an extremely profitable time of the year for businesses of all sizes. After all, they can account for 20-40 percent of a business’ yearly sales. But what about after the holidays? Budgets are tighter, consumers are exhausted and it can be hard to make the idea of shopping again appealing at all. Don’t let your marketing efforts go stale in the post-holiday shopping season. Your consumers are tired, but they’re still keeping an eye out for the next appealing product or service. Here’s what you can do to keep your business’s holiday success going. After the holidays, there might be one or two too many zeros on your consumers’ credit cards, so getting them to shop is difficult, but not impossible. The best way to keep consumers interested is to keep the sales coming. A lot of post-holiday shoppers have gift cards or newly gifted cash to spend. Or, they might have a gift or two they’d like to exchange for something else. Continuing your great deals will only encourage consumers to stop by your business first. You’ll also want to shift the mentality of your marketing message. The holidays are all about shopping for friends and loved ones. But after that? It’s time to encourage your consumer to find gifts for themselves. Market to that consumer mindset by capitalizing on the idea of self-gifting. Consumers have spent the past few weeks running around and worrying about everyone else, so letting consumers know it’s time to focus on themselves will be a nice change of pace. A lot of people shop around for the holidays, which means they might add a lot to a cart and never convert. Maybe they just weren’t ready to purchase, or perhaps they couldn’t justify a gift for themselves when they had to buy for others. Either way, take advantage of all the traffic that your website saw by retargeting those customers to remind them of the great products they wanted before. Remarketing is an extremely lucrative marketing strategy. 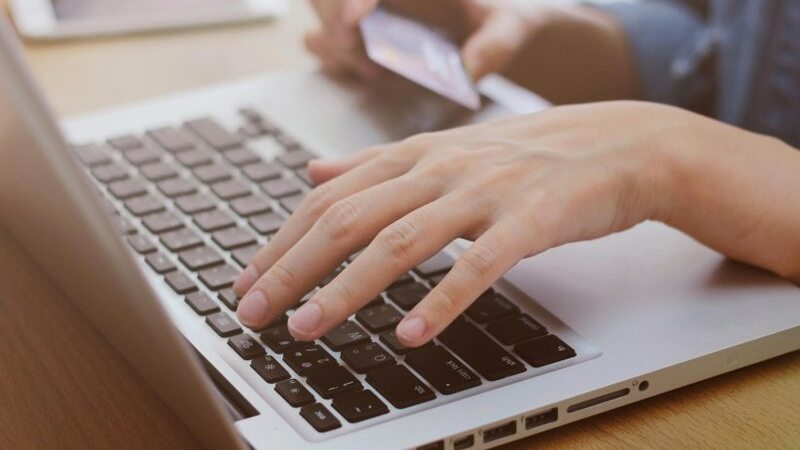 Consumers who are retargeted are 70 percent more likely to convert, and it can increase shopping cart completion by 26 percent. Plus, most consumers expect to be contacted about their abandoned shopping carts. Many of them like to see a special offer, such as a small percentage off, as encouragement to complete the purchase. Almost everyone makes some sort of vow to improve themselves at the beginning of the New Year, so take advantage of that mindset. A lot of people are looking to improve different areas of their lives, and almost anything can be marketed to the New Year’s attitude. For example, if you sell kitchen appliances, you can market your products with the idea that cooking at home is not only cheaper, but also healthier. But it’s not all about fitness in the new year, either. Maybe you’re a spa and you invite people to de-stress from the holidays with 25 percent off a massage, or you’re a mechanic who encourages car owners to start the year off right with a discounted oil change and inspection. With a little creativity, anything can appeal to the “New Year, New You” mentality. If you managed to collect email addresses over the holidays from consumers, it’s best to reach out to them sooner rather than later. The longer you wait, the higher the chance that they’ll forget about you. Send an email out to any customers who have converted to ask them how their experience was and thank them for their business. If you have new loyalty sign-ups, offer them a discount. Craft your emails thoughtfully, and make the idea of coming back to shop with you again appealing by personalizing the experience. After the holidays, people are burned out. Christmas dinner is sitting heavy in everyone’s stomachs and wallets feel a little too light. Chances are, even with your best efforts the post-holiday shopping season will still be slower. You can still use this time to your advantage, though. Take this downtime to reflect on your marketing efforts from the past year and plan ahead for the new year. What marketing tactics worked? Which ones didn’t? Collect all of your analytics and start planning out what you want to expand on and improve. Maybe you want to try supporting a charity during the holidays. Perhaps you’d like to start your holiday marketing earlier. You might want to even focus on increasing your social media strategy so you can build a stronger online presence throughout the year. Don’t waste this slower time waiting for the customers to come to you. Instead, use this time to plan out exactly what you can do to improve your marketing strategies to make this year the best one yet.